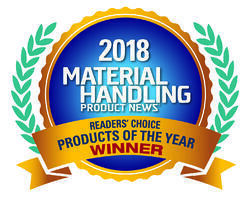 Lakewood, NJ – January 10, 2019 – UNEX Manufacturing, Inc., the trusted industry leader in providing innovative order picking solutions, is a recipient of a 2018 Material Handling product News (MHPN) Products of the Year Reader’s Choice Award. This award honors the achievements of companies for advances in materials handling systems and equipment within manufacturing, distribution centers and warehouses. UNEX SpeedCell was the winning product in the Racks, Shelving and Mezzanines category. MHPN solicited votes from readers for twelve different categories for the Reader’s Choice Awards, ranging from dock equipment to supply chain software to conveyors and sortation. Voting began in November with winners chosen in December. Readers decided the winners with over 2,900 votes cast. A write-up in MHPN about UNEX can be found here.